Nothing says it’s summer quite like the humble barbecue. From tiny glorified baking trays to Herculean efforts that put most kitchens to shame, there is only one tonic for the summer sunshine and that’s the barbecue. Charcoal BBQs come in all manner of shapes and sizes; for those who want a permanent fixture in their garden to those who would like one that’s a little easier to transport between the garden and the caravan. 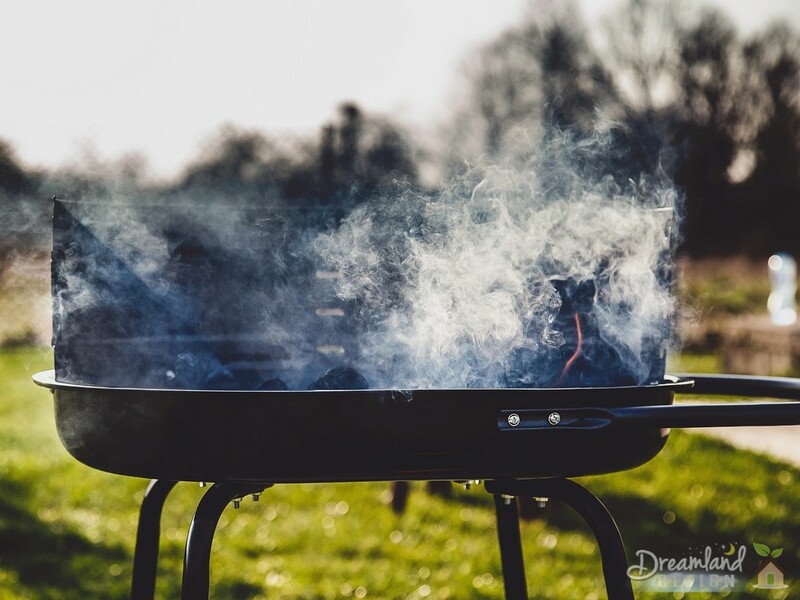 There are with barbecues, as with everything else, many different shapes and sizes to choose from, so it’s worth considering what you will use a barbecue for (beyond, of course, grilling food) before you go ahead and buy one. If you are entertaining guests and the barbecue will only be wheeled out at parties and gatherings, you will need something portable. There is little point having your barbecue exposed to the elements (or you investing in a waterproof cover) for 364 days of the year just so you can use it once or twice. Instead, one that is easy to dismantle or one with wheels will make your job easier when it comes to bringing it out or taking it in. Likewise, you will want something that’s the right size. The smaller units might suffice for a small family get-together, but if you’re known for hosting parties on a grander scale, something bigger will certainly be the order of the day. The size considerations are not just limited to the grill. Ones with storage will also help you find a home for the utensils during cooking and provides a great place to keep things warm after they’ve been cooked. But on the other hand, too big and it may take up more space in the garden than originally anticipated, meaning that the guests have to spend their time standing far too close for comfort to a profusely smoking barbecue. Finally, consider the style of the barbecue for cooking and aesthetic purposes. For just a few sausages and some burgers, a grill should do the trick proficiently enough. However, if you have grander designs, a smoker (one that has a lid) will certainly accommodate the more outlandish cooking a great deal easier. A barbecue is not just a grubby hot plate that you occasionally wheel out, then put away again shortly after and forget about. It is often the hub of an outdoor party and should be treated as such, ensuring that it will do the trick exactly as you want it to, leaving you more time to enjoy the sunny weather.